In 1903 the legislature appropriated $50,000 to establish a state normal school in central or western Nebraska. After 111 ballots, the State Board of Education chose Kearney as the site. The city donated twenty acres on the west side of town for a campus, including one building, Green Terrace Hall, which was used mainly as a dormitory until razed in 1960. Construction of the administration building began in 1904. 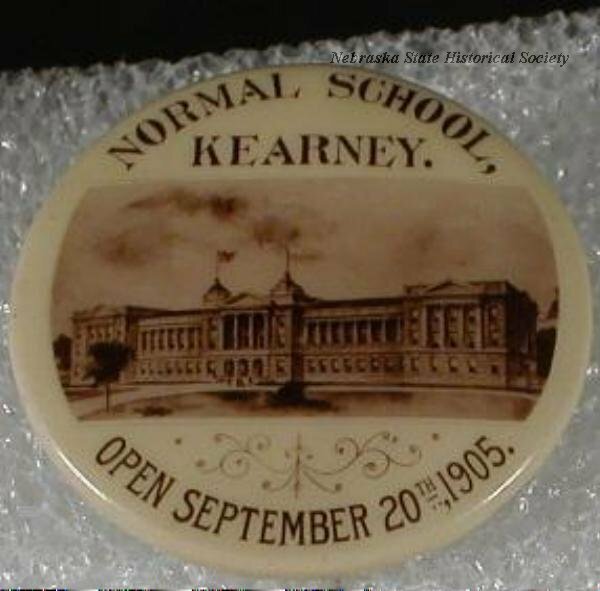 The first classes at Kearney State Normal School were held in the summer of 1905 with 96 students enrolled. In 1921 the school was renamed the Nebraska State Teachers College at Kearney and became a four-year college. The granting of liberal arts degrees was authorized in 1949, and a graduate program was established in 1956. The name was changed to Kearney State College in 1963. On July 1, 1991, the institution became part of the University of Nebraska, to be known as the University of Nebraska at Kearney (UNK). Under its various names, UNK has played an important role in state development and continues to meet the educational, research, and service needs of Nebraska. “University of Nebraska at Kearney,” Explore Nebraska History, accessed April 18, 2019, https://mynehistory.com/items/show/33.